Weather impacted profits at Frontier Agriculture. The 13th year of business proved an unlucky one for arable supplier and grain buyer Frontier Agriculture, as profits took a hit from the “beast from the east” and the driest summer for 30 years. The company said that unseasonable weather had narrowed the window of spring crop inputs sales, which was a factor in an 18.3% decline in its pre-tax profits for the year ended June 30 2018. Nevertheless, the company insisted that it had “outperformed its competitors” to deliver a “very credible performance indeed” in spite of unpredictable weather, tough trading conditions and cyclical commodity prices, according to the chairman’s statement published in its most recent accounts filed at Companies House. Chairman Jose Nobre, who took over the top job following the semi-retirement of David Yiend last year, remained upbeat and said the business “continues to demonstrate that its diversified activities in both crop production and crop marketing enables it to deliver a robustness in earnings that confounds the cyclicality of the sector”. Frontier, a leading arable inputs provider and the UK’s largest grain buyer, saw a decline in pre-tax profits from £34.8 million to £28.4m in the year. Turnover at the firm, which operates across 46 sites in the UK including Crimond, Invergordon, Newmachar, Perth and Turriff, rose slightly from £1.448billion to £1.494bn in 2018. The company paid out an £18.36m dividend to its joint venture owners AB Agri and Cargill for the year, down from £22.16m the prior year. The company was established as a joint venture between the agri division of Associated British Foods, the FTSE-100 food maker and owner of the Primark budget fashion chain, and the US agri-giant in 2005. Mr Nobre added that he expected the company to return to growth in underlying earnings as the company feels “full year impact of acquisitions, grain marketing partnerships, new agronomists and capital investment”. 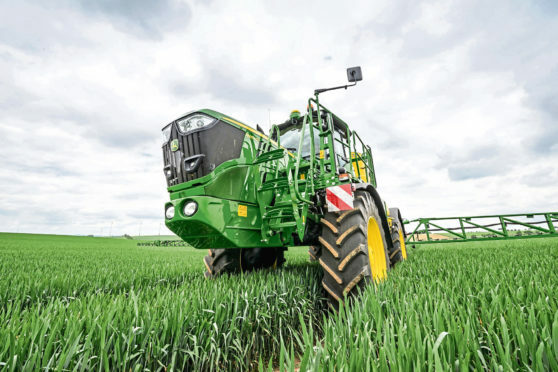 The firm allocated £12m to spend on capital investment in the year and said it had grown its field force of service agronomists to 160.